Vests are an absolute must-have! 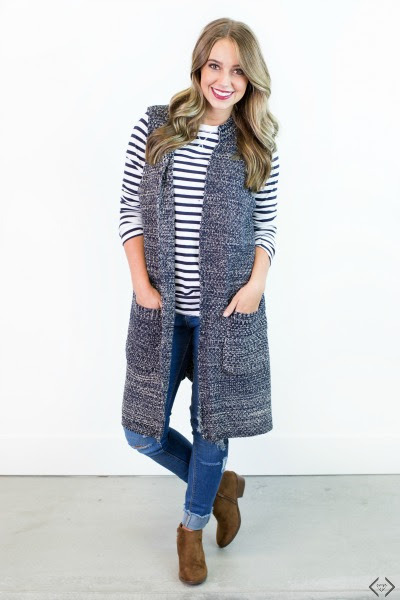 It’s a great transitional piece that can go between the warm and cool days we’re bouncing in-between right now. We love that they come in various fall-friendly colors, making it easy to find one that best fits your style and wardrobe. 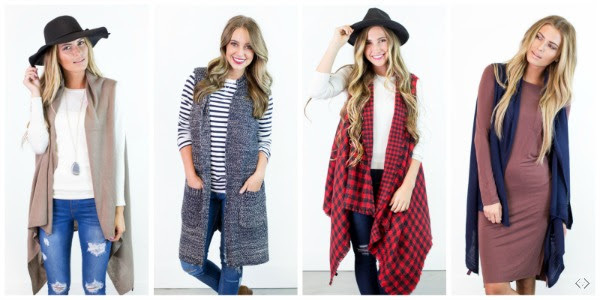 You will love these cozy vests so much that they may add a second one to their carts for a gift (or for themselves… we’re not judging!). The code is VESTSTEALand it will take $10 OFF (starting under $20), with FREE Shipping! The code is valid Monday, 10/2 only! * Layer your vest with your favorite long-sleeved tee and some comfy, ripped jeans for a look that is as comfortable as it is stylish. *Need an extra something to pair with your super simple dress? Try wearing it with a vest and a pair of knee-high boots. * If you’re going for a chic look, pair your vest with moto jeggings or faux leather leggings, a loose button down shirt, and a pair of booties. *Maybe you just want to lounge around in your vest! Pair your it with a v-neck tee and your favorite, comfy leggings for the ultimate ‘lounging but decent’ look.